No Purchase. No Deposit. Just a Low Monthly Fee! 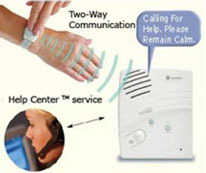 Press the personal Call Button, and My Medical Alert system automatically dials the Care Center. 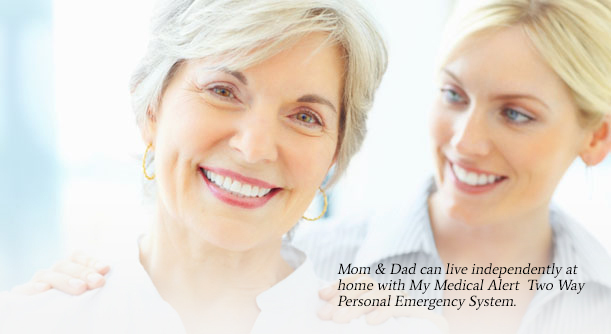 A trained Help Advisor answers and talks with you over My Medical Alert systems built-in speaker phone. The Help Advisor calls for emergency assistance and phones family members, friends or neighbors. Your Help Advisor stays on the line with you until help arrives. Falls are the #1 cause of injury to senior citizens. Falling in the bathroom is the most common. Falling down stairs could be disastrous. 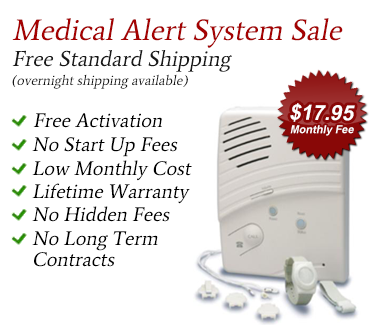 Purchase a My Medical Alert! A medical alert system from My Medical Alert will provide comfort and peace all at the touch of a button. Our operators are on call 24/7 to assist you or a loved one with a friendly voice who can assist you with emergency calls and get you help from friends and family when it is needed. 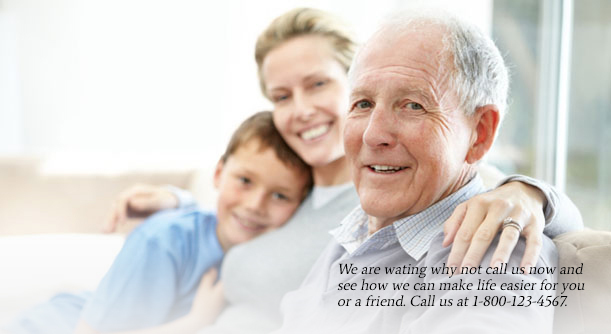 We are waiting why not call us now and see how we can make life easier for you or a friend. Call us at 1-800-777-1212. Our world-class medical alert system uses state-of-the-art technology and works with traditional phone lines or cable VoIP phone lines. Activation is free. The service can be used anywhere in the U.S. And Canada and has a range of 800 feet. It comes ready to use with no installation fees. The system's care assistance center is available 24/7, 365 days a year to respond to your emergencies. In a potentially hazardous situation, you can contact the care center and a care monitor will attempt to make voice contact within seconds. If necessary, they'll call local police, sheriff's department or EMS. Family members, friends or neighbors can also be notified. 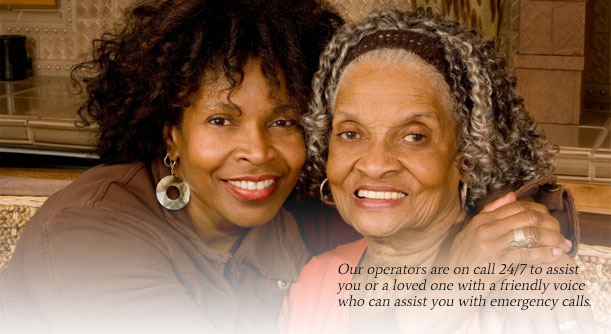 The caring staff is specially trained to work with the elderly. The service also provides a safe solution that compliments efforts of home care providers and for those who are alone or at-risk. The service can provide boundary alerts and special adaptive switches. Multilingual services are available in 150 languages and all monitors provide two-way voice monitoring. Members can use the service if they're threatened by an intruder or are the victim of elder abuse. Members can also utilize the system if they hear a noise at night or when going up and down stairs. The monitor will be on stand-by until care assistance staff knows that you're safe. Incident reports can be provided to health care professionals to help manage patient care. In addition, the service provides a web-based medication tracking system to assist caregivers, physicians and pharmacists, based on your approval. Your medical information is always kept confidential. Medical Alert System includes two way speaker base, 100% waterproof necklace or wrist band and 24 hour monitoring care with no additional fees! Monthly, Quarterly and Annual Plans. Works with land or cable VoIP phone lines!